A rare, recently discovered microbe that survives on very little to eat has been found in two places on Earth: spacecraft clean rooms in Florida and South America. Microbiologists often do thorough surveys of bacteria and other microbes in spacecraft clean rooms. Fewer microbes live there than in almost any other environment on Earth, but the surveys are important for knowing what might hitch a ride into space. 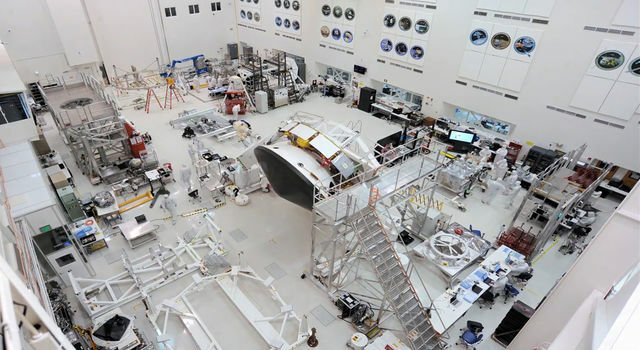 If extraterrestrial life is ever found, it would be readily checked against the census of a few hundred types of microbes detected in spacecraft clean rooms. The work to keep clean rooms extremely clean knocks total microbe numbers way down. It also can select for microbes that withstand stresses such as drying, chemical cleaning, ultraviolet treatments and lack of nutrients. Perversely, microbes that withstand these stressors often also show elevated resistance to spacecraft sterilization methodologies such as heating and peroxide treatment. "We want to have a better understanding of these bugs, because the capabilities that adapt them for surviving in clean rooms might also let them survive on a spacecraft," said microbiologist Parag Vaishampayan of NASA's Jet Propulsion Laboratory, Pasadena, Calif., lead author of the 2013 paper about the microbe. "This particular bug survives with almost no nutrients." This population of berry-shaped bacteria is so different from any other known bacteria, it has been classified as not only a new species, but also a new genus, the next level of classifying the diversity of life. Its discoverers named it Tersicoccus phoenicis. Tersi is from Latin for clean, like the room. 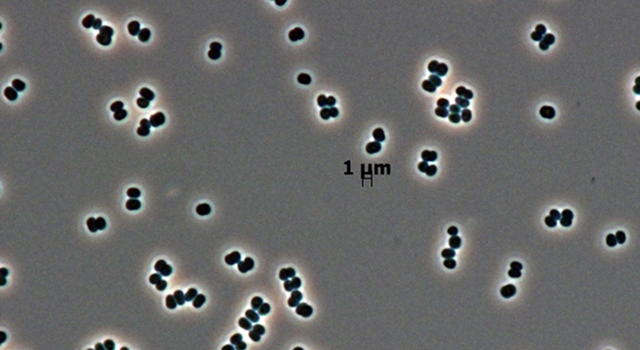 Coccus, from Greek for berry, describes the bacterium's shape. 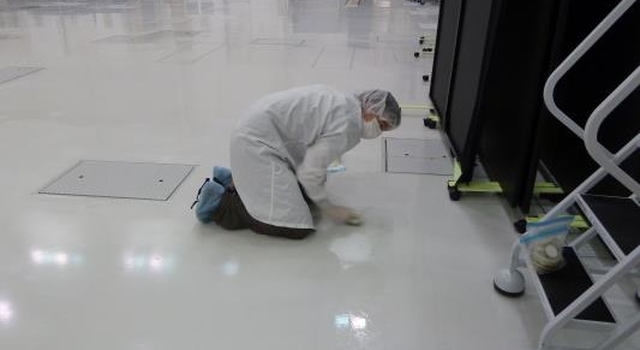 The phoenicis part is for NASA's Phoenix Mars Lander, the spacecraft being prepared for launch in 2007 when the bacterium was first collected by test-swabbing the floor in the Florida clean room. Some other microbes have been discovered in a spacecraft clean room and found nowhere else, but none previously had been found in two different clean rooms and nowhere else. 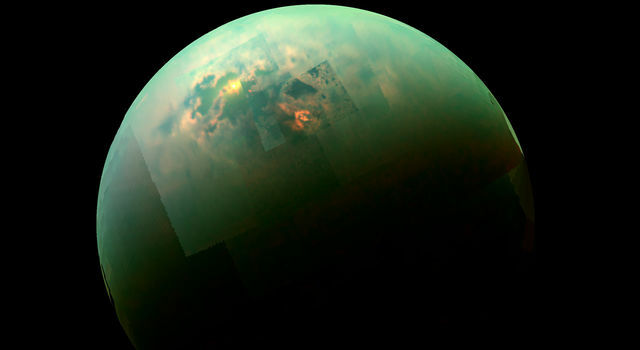 Home grounds of the new one are about 2,500 miles (4,000 kilometers) apart, in a NASA facility at Kennedy Space Center and a European Space Agency facility in Kourou, French Guiana. The same global database showed no other location where this strain of bacteria has been detected. That did not surprise Vaishampayan. He said, "We find a lot of bugs in clean rooms because we are looking so hard to find them there. 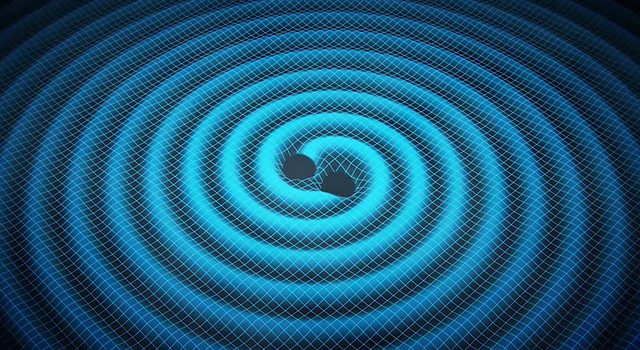 The same bug might be in the soil outside the clean room but we wouldn't necessarily identify it there because it would be hidden by the overwhelming numbers of other bugs." A teaspoon of typical soil would have thousands more types of microbes and billions more total microbes than an entire cleanroom. More than 99 percent of bacterial strains, as identified from DNA sequences, have never been cultivated in laboratories, a necessary step for the various types of characterization required to identify a strain as a new species. Microbes that are tolerant of harsh conditions become more evident in clean room environments that remove the rest of the crowd. "Tersicoccus phoenicis might be found in some natural environment with extremely low nutrient levels, such as a cave or desert," Vaishampayan speculated. This is the case for another species of bacterium (Paenibacillus phoenicis) identified by JPL researchers and currently found in only two places on Earth: a spacecraft clean room in Florida and a bore hole more than 1.3 miles (2.1 kilometers) deep at a Colorado molybdenum mine. Ongoing research with Tersicoccus phoenicis is aimed at understanding possible ways to control it in spacecraft clean rooms and fully sequencing its DNA. Students from California State University, Los Angeles, have participated in the research to characterize the newly discovered species. 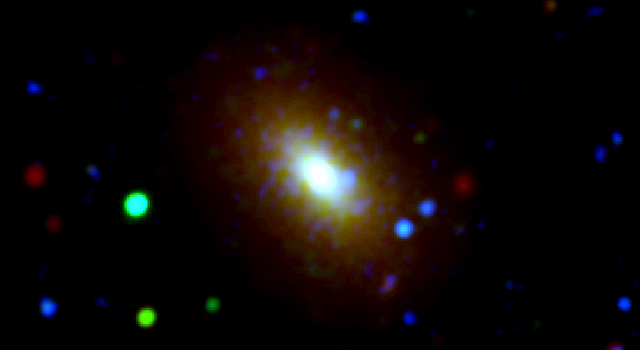 The California Institute of Technology, Pasadena, operates JPL for NASA.